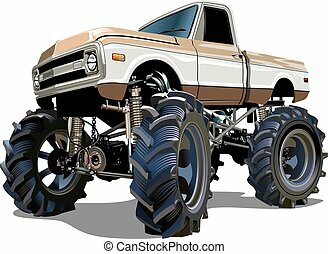 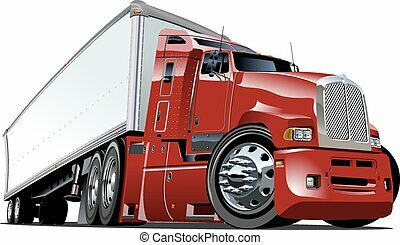 Big rig. 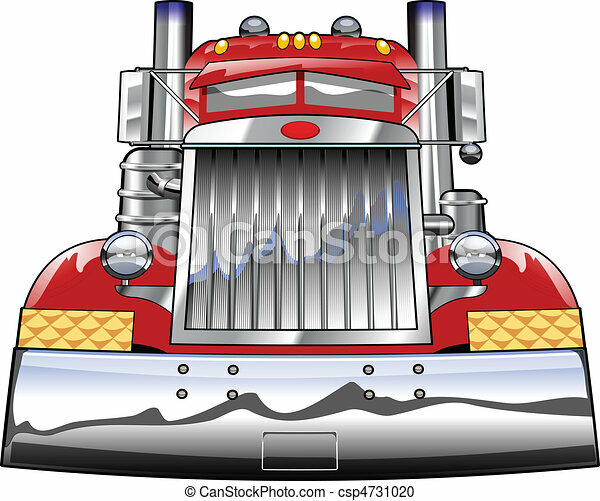 Front end of truck. 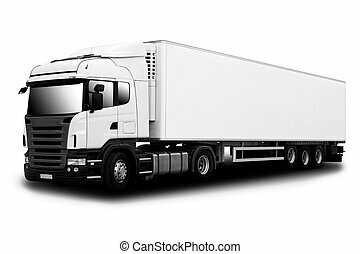 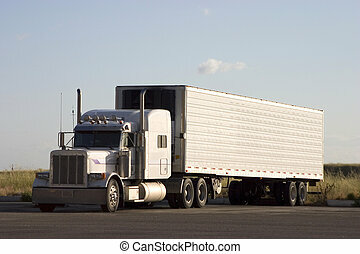 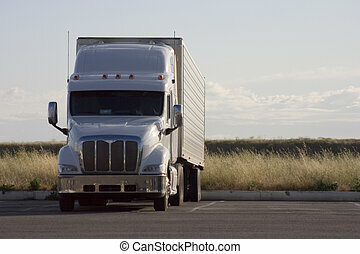 A tractor-trailer truck in a parking lot. 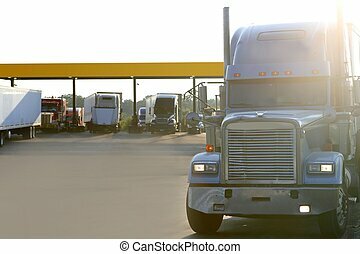 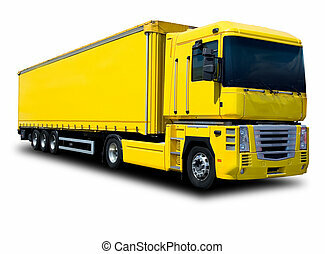 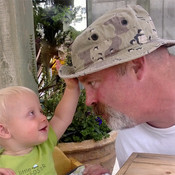 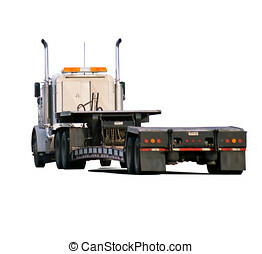 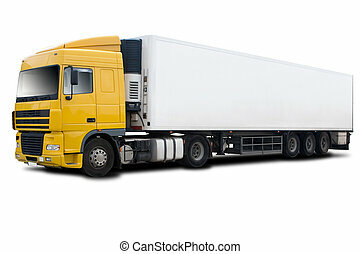 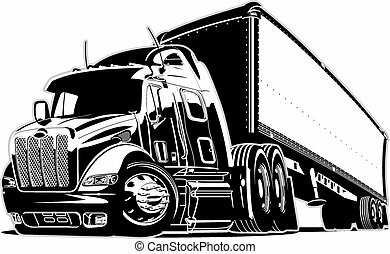 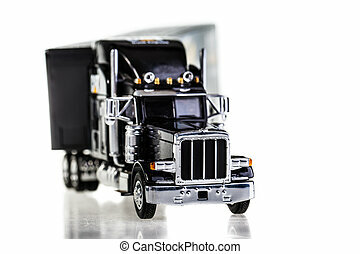 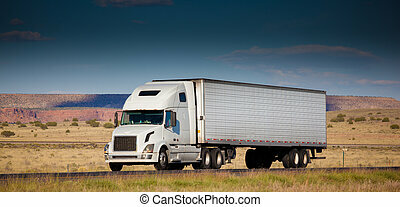 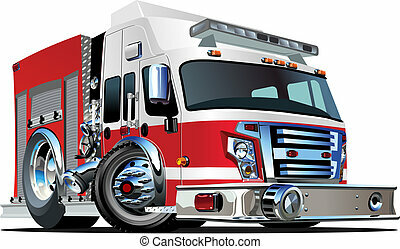 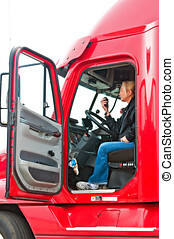 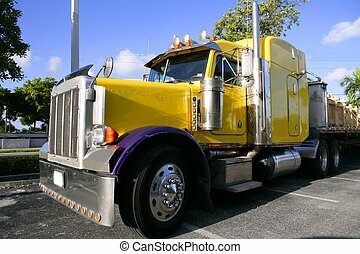 Pretty blonde woman in a big rig talking on her CB radio to other truck drivers.